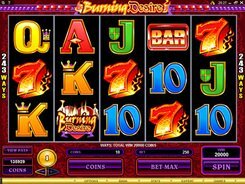 If you have a flaming desire for tremendous winnings, then try your luck on the Burning Desire slot brought to you by Microgaming. 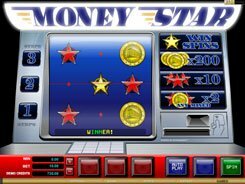 The five-reel machine is based on the 243-ways-to-win betting pattern. 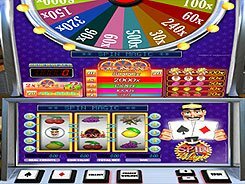 The betting range can be configured in a wide range of $0.01 to as high as $250. 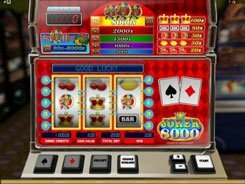 All symbols in the slot emphasize a theme of romance and passion featuring precious stones, casino chips, roses, wedding bells and standard playing cards from 9 to Ace. The Burning Desire logo serves as a wild. It only lands on the second and fourth reels substituting for other symbols, except for scatters. 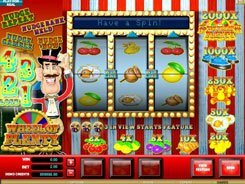 A scatter is represented by the golden casino chip. 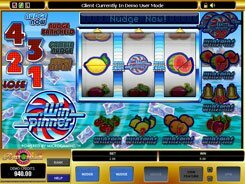 If three, four or five appear on the reels, you’ll get 15 retriggerable free games during which all winnings are tripled. 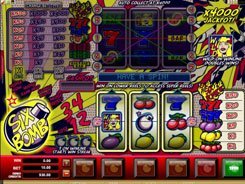 The cash prize you earned after any profitable spin can be gambled in the Gamble feature that is typical for video slots produced by Microgaming. In the Gamble round, you’ll have to choose a red or black card or guess the correct card suit. If you succeed, your winnings will be doubled or quadrupled.